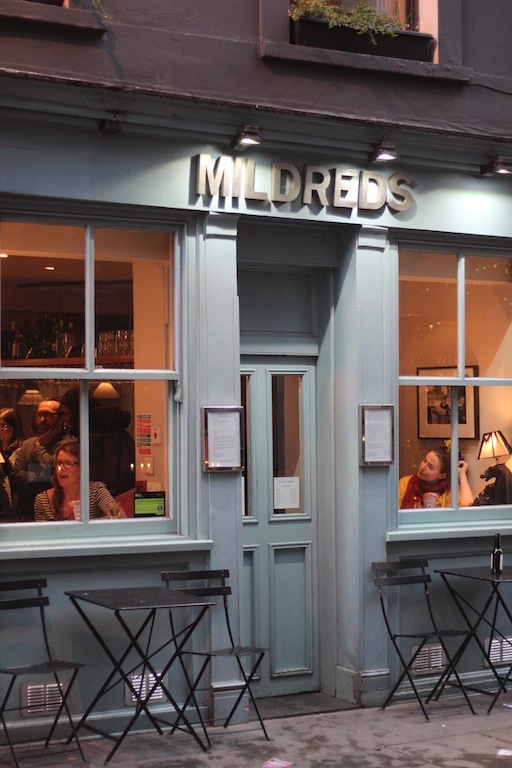 Mildreds is a well known restaurant amongst vegetarians and vegans, but popular with omnivores as well. The menu is internationally inspired. 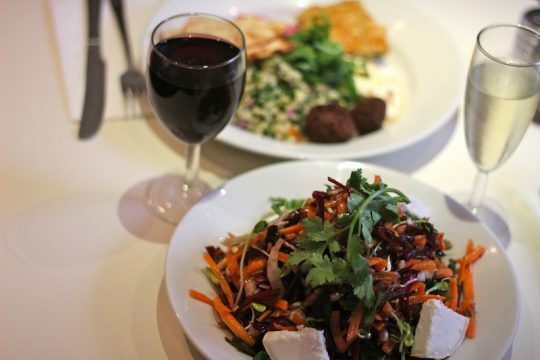 Think of panfried halloumi for starters: cherry tomatoes with wilted spinach dressed with balsamic or hummous and smoky red pepper babaganoush. People who like to eat wheat or gluten free will appreciate that both are marked on the menu. Open for lunch and dinner. Closed on Sunday.